The A1 Leeming to Barton improvement project is an excellent example of collaborative working producing innovation through early contractor involvement and setting the standards for future works in safety and technology cumulating in success. 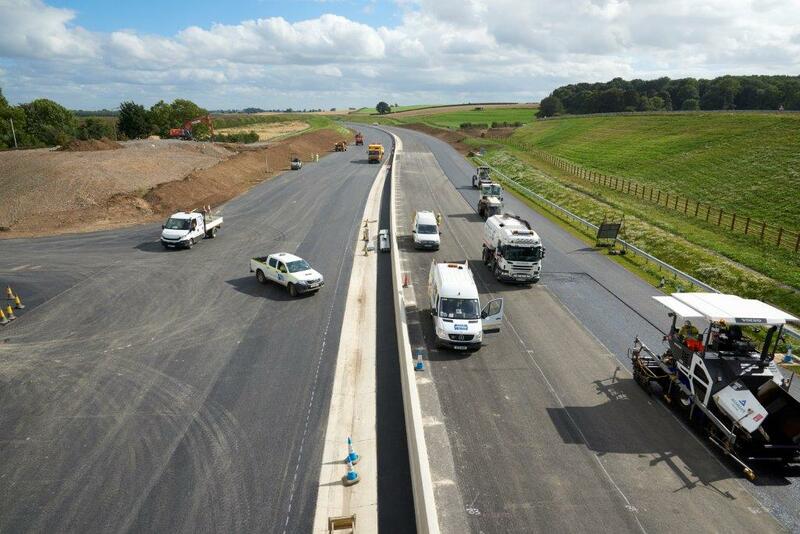 In September 2014, both the Carillion Morgan Sindall Joint Venture (CMSJV) and Aggregate Industries entered into the UK’s largest surfacing collaborative contract to construct over 21.5 km of motorway along with 19 km of Local Access Road for nonmotorway users . The CMSJV had, earlier that year, commenced work on a £380 million upgrade of the A1 between Leeming Bar and Barton for Highways England. Members can read full articles for free, please log in to continue reading. For non-members, you can buy credits to access articles.